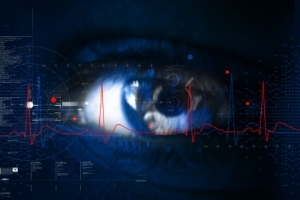 Eye tracking technology is advancing at a rapid pace. From the first implementations of facial recognition to unlocking laptops, the use of the eyes as a medium for input is continuing to develop. Some smartphones are able to scroll through various screens by detecting the motions of the eye itself, but what else can be accomplished based on this technology? As the capabilities for eye tracking increase, what can those with physical disabilities anticipate with this development? Hospitalized Communication – Using eye tracking technology, those that are incapable of direct communication while hospitalized are able to do so. As a patient’s eyes control the keyboard and letters “pressed,” a computer system can give a voice to someone suffering from a severe injury or other form of paralyzation. This could do away with the need of a wand strapped to an individual’s head or blow tube in order to communicate, making the entire process much faster and easier. Remote Education – You shouldn’t let a physical disability prevent you from obtaining a degree or attending various schools. Eye tracking technology is being used to help those unable to type by allowing the eyes to do the work for them. By detecting the movement of the eyes, computer systems and tablets allow users to send messages, read and write emails, and attend online classes. Smart-house Adaptation – Currently, smart-houses make life easier for many people by anticipating needs based on programmable parameters. As eye tracking technology evolves, those that wear glasses developed with eye tracking could turn on electronics such as a coffee maker or television simply by looking at those appliances. Theoretically, it wouldn’t take much more development to include wireless communication between these glasses and the appliance in order to activate the device. Future Driving? – Researches have already been experimenting with eye tracking technology in order to determine where an experienced driver looks while on the road compared to a novice. With more development in communication and vehicle engineering, eye movements could be adapted to control the actual vehicle. Does this sound a bit extreme? Consider that in 2012, Google’s self-driving car completed more than 300,000 miles without suffering an accident. If an automobile can control itself without input from a “passenger,” then how impossible would it be to use eye tracking technology for a disabled individual to go for a Sunday drive? Social Interaction – In April of 2014, i2i, Inc. started a crowd sourcing campaign in order to raise funds for continued development of a prototype that has a great deal to offer physically disabled individuals. Through the use of eyeglasses, an individual can record movies and images while sharing them on social media sites such as Facebook all from eye gestures. These glasses are used to detect what users are looking at and adjust functionality to compensate. This means a person can crop an image of an object he or she is looking at in order to show the specific item with friends and family online. While some of these may seem like a futuristic endeavor, many of them actually exist in today’s society. Each year brings greater additions to the capabilities of eye tracking technology. Since innovation has a way of developing exponentially over time, there could be a great deal of invention surrounding these capabilities far sooner than you may realize. I have friends that have visual impairments, I wonder if this technology would benefit them in their quests to drive a car. It’s incredible to think what this technology will be like in 5 years, not to mention maybe even 5 days. I know! Technology moves so fast that you can imagine all sorts of things it could help out with in the future!